I make these biscuits at least once a week and have made a number of varieties. The most popular variation in this household is spicy, where I add cinnamon, allspice and nutmeg before baking. I also like to add coconut to the mixture and sometimes dip the bottoms in chocolate! Mix the flour, oats and sugar in a large bowl. Melt the butter and golden syrup over a low heat, then add the hot water and stir in the bicarbonate of soda. Pour the butter mix into the dry ingredients. If you want to add extra flavourings such as spices, chocolate chips, coconut or anything else you fancy, this is the time to do so. Roll the mixture into balls and then squish them down a little. Pop them onto a greased tray and into an oven preheated to 180°C. Bake for about 15 minutes, until light golden-brown. When the biscuits are done, pop them onto a wire rack to cool. 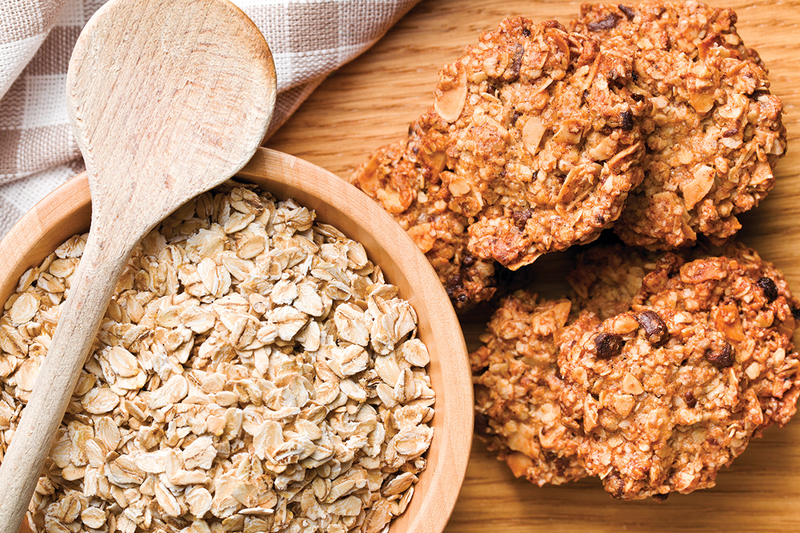 Bake these oatilicious biccys on a Leisure range cooker. Unsure what fuel type appliance you need? We have a great range of gas range cookers, electric ranger cookers and dual fuel range cookers, come and take a look.